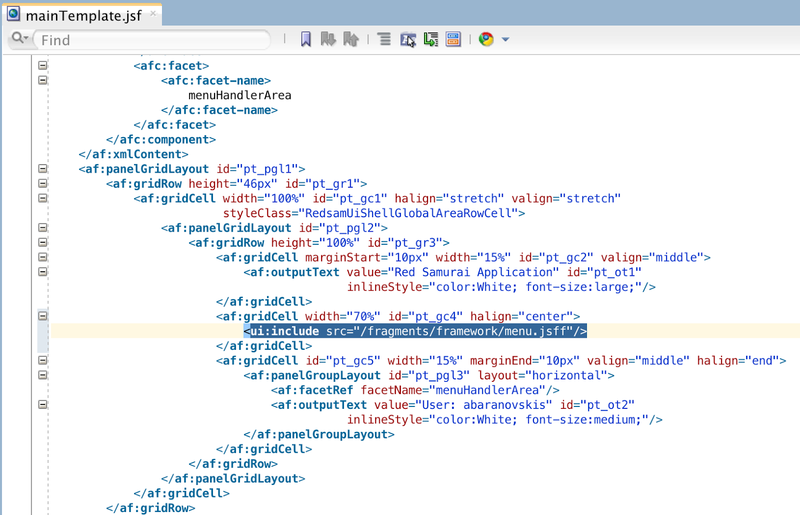 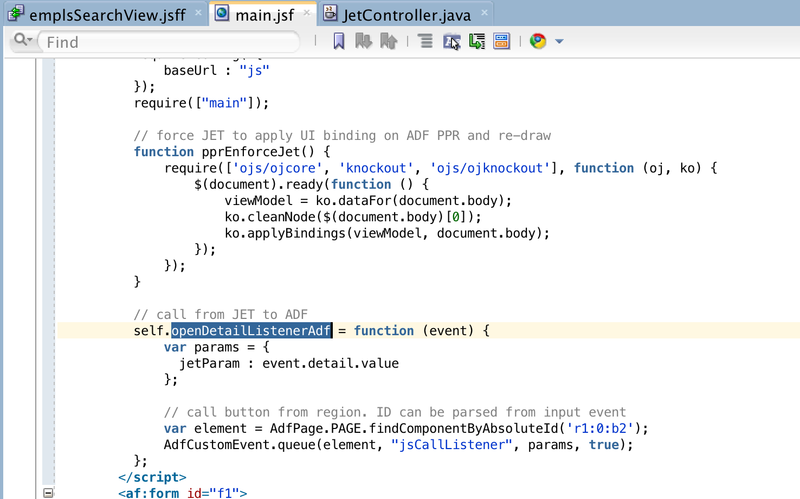 May be you are thinking to add some fresh looking element into your ADF app? I would propose JQuery menu. 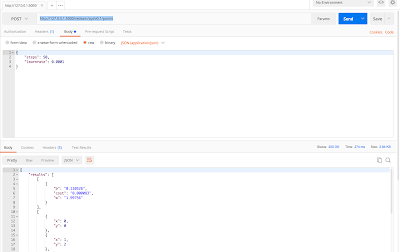 Advantage of such menu - it is purely client side implementation and it allows user to navigate through items really fast. 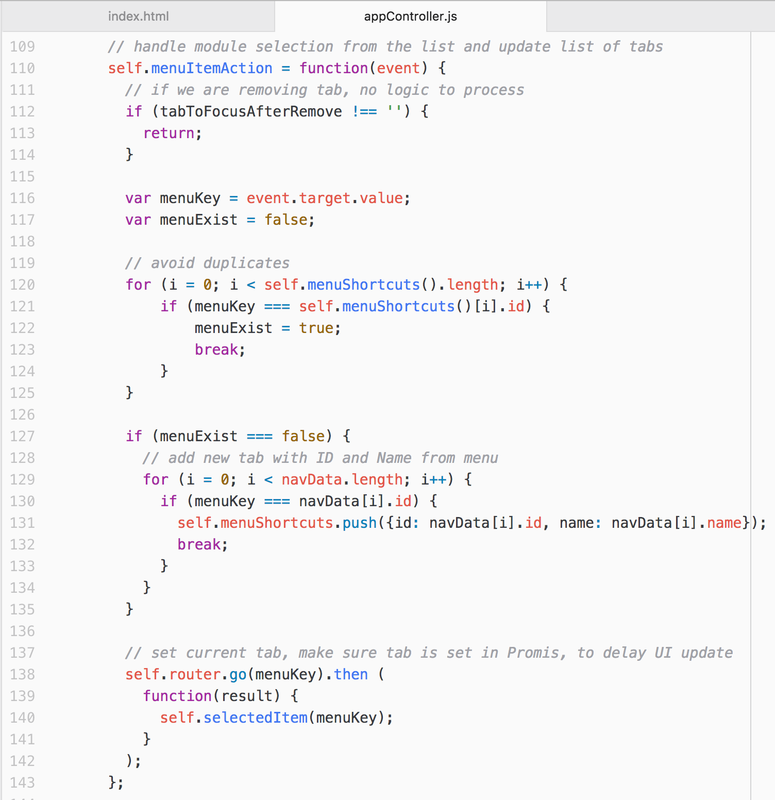 Besides fast navigation, it looks great too and can be easily customized. 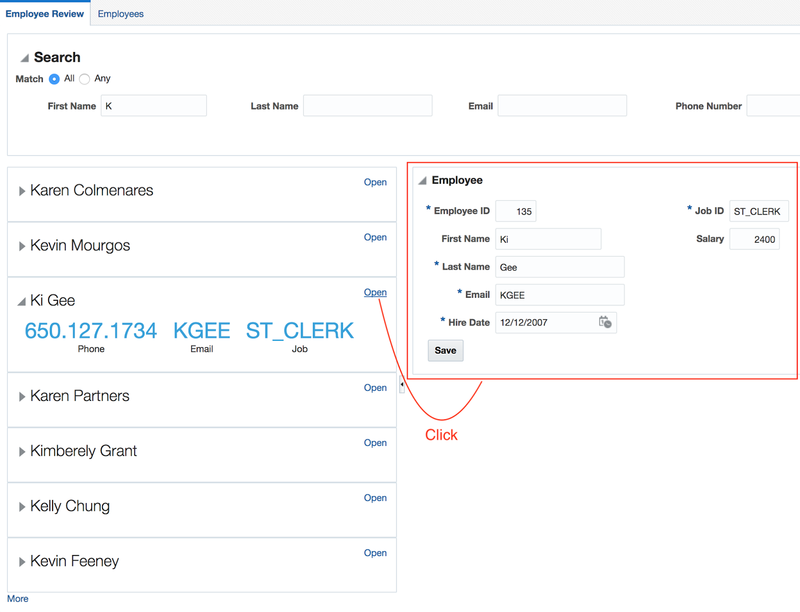 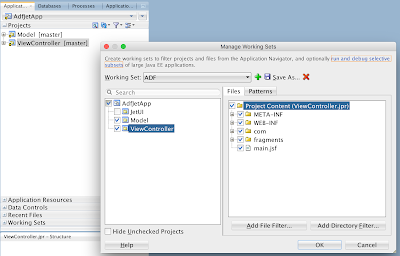 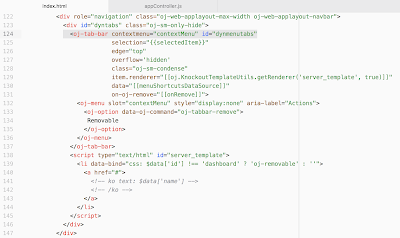 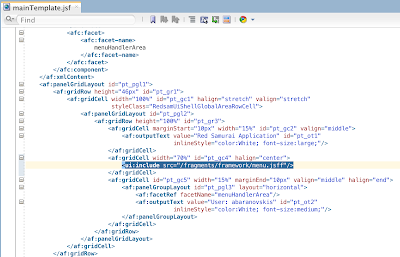 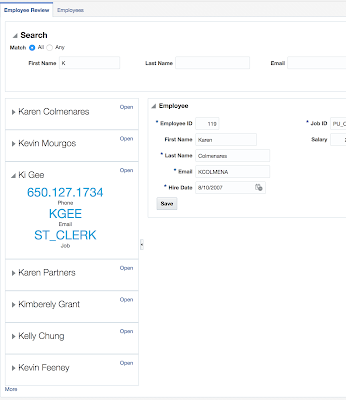 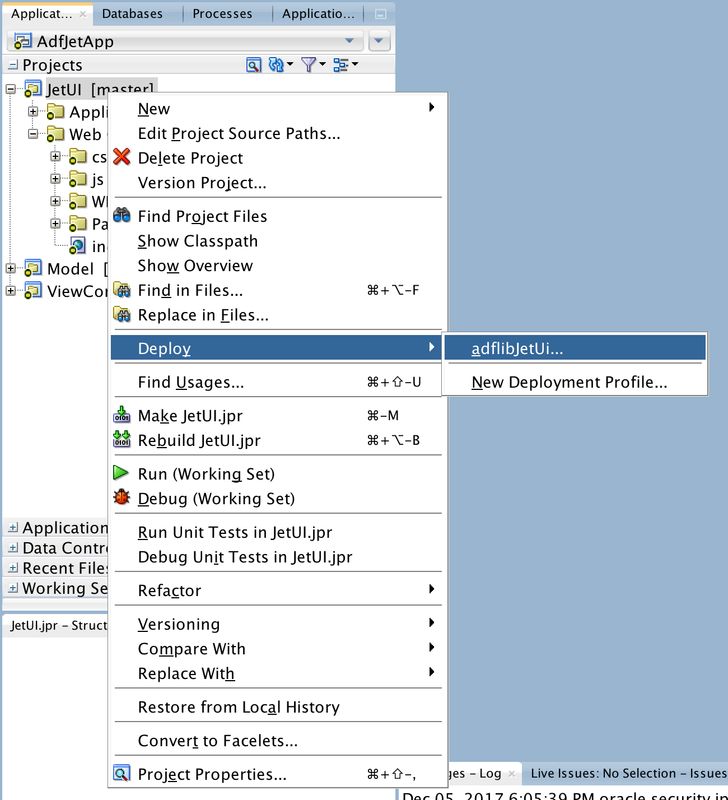 In this post I will describe how to achieve JQuery menu integration into ADF Faces and provide sample ADF application. 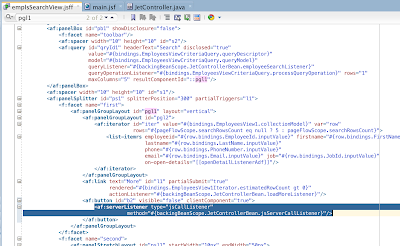 I'm using JQuery menu from here - Animated Responsive Drop Down Menu. 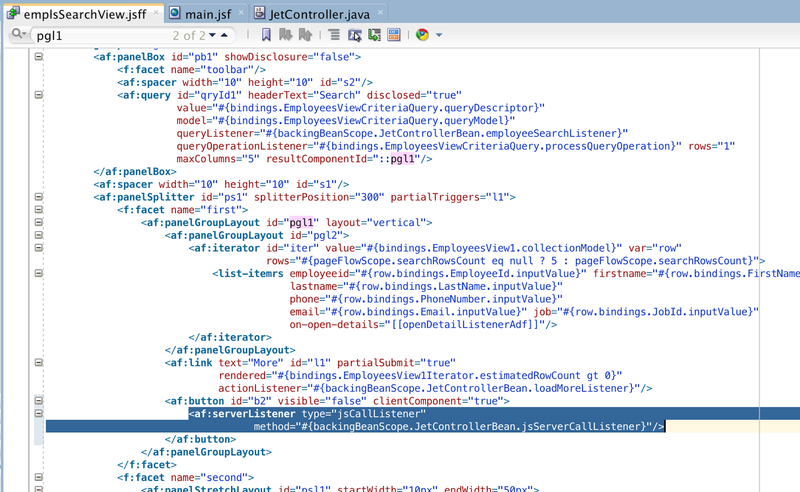 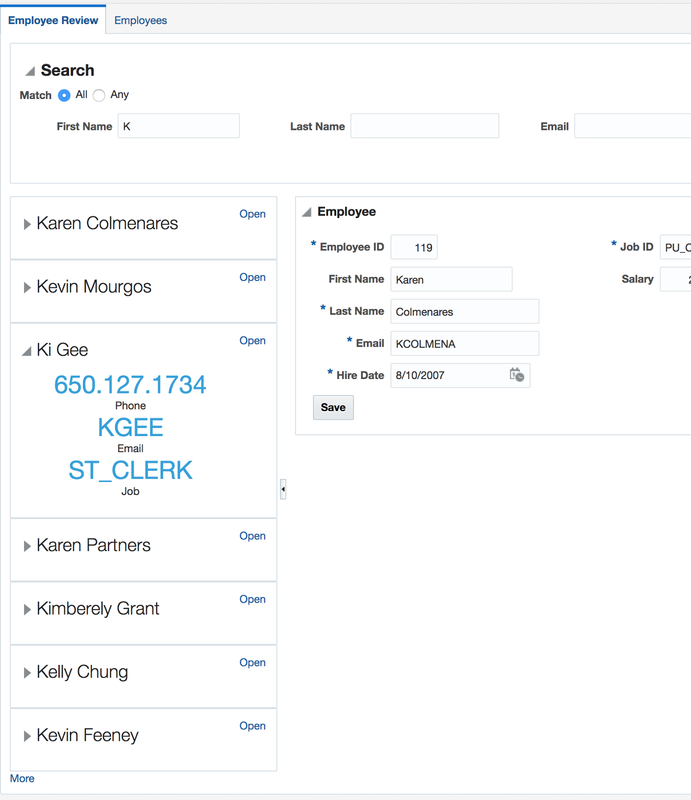 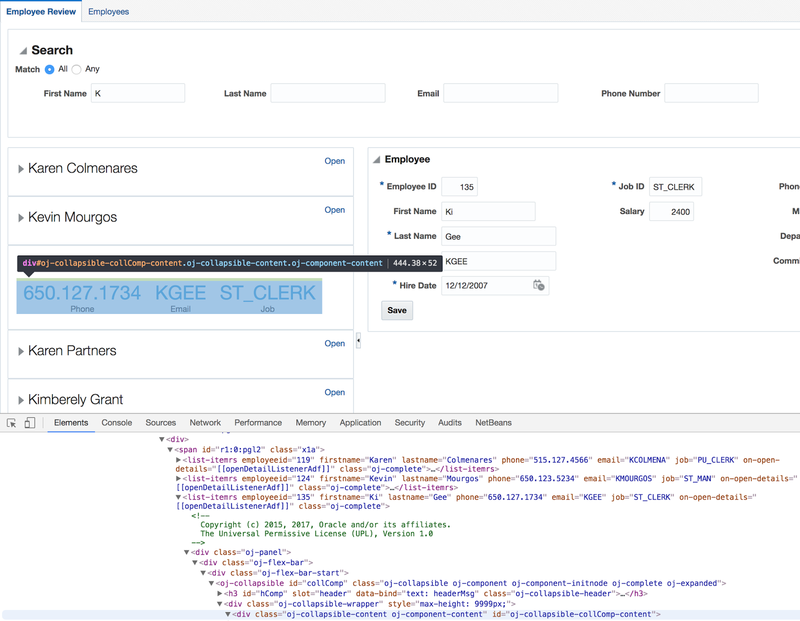 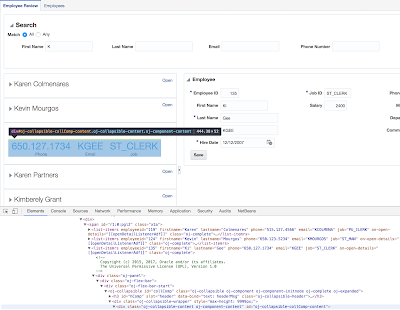 There is no need to implement JQuery menu component, we can use one of the existing implementations. 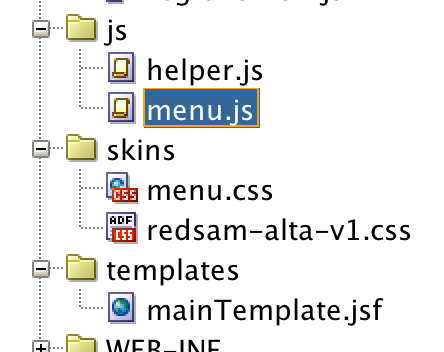 Download sample application - ADFJQueryMenuApp.zip. 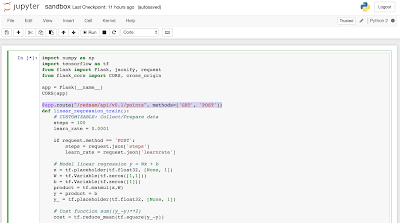 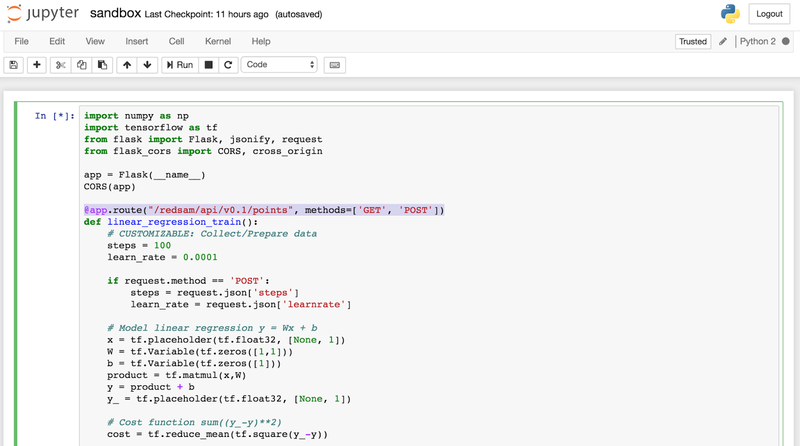 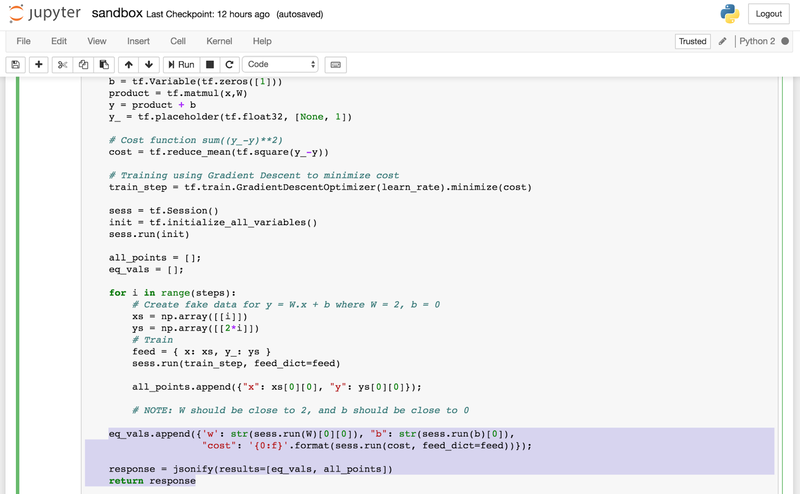 In my previous post - TensorFlow - Getting Started with Docker Container and Jupyter Notebook I have described basics about how to install and run TensorFlow using Docker. 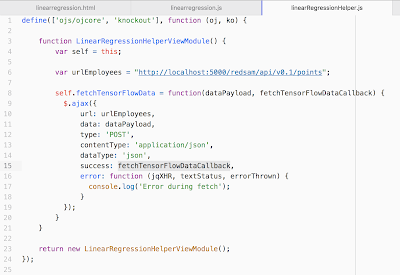 Today I will describe how to give access to the machine learning model from outside of TensorFlow with REST. 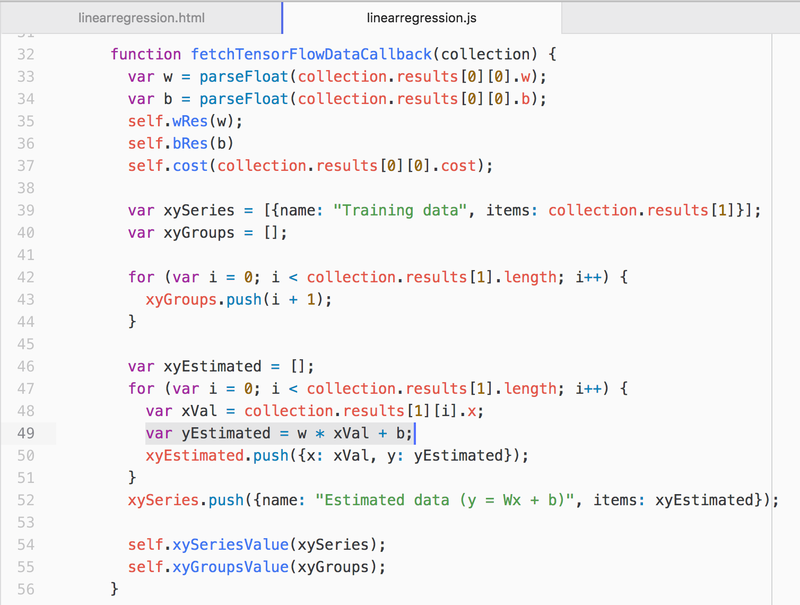 This is particularly useful while building JS UIs on top of TensorFlow (for example with Oracle JET). 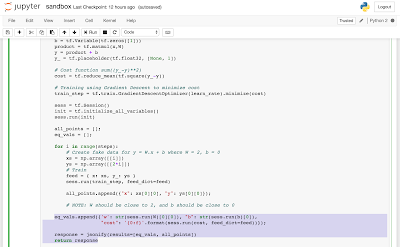 TensorFlow supports multiple languages, but most common one is Python. 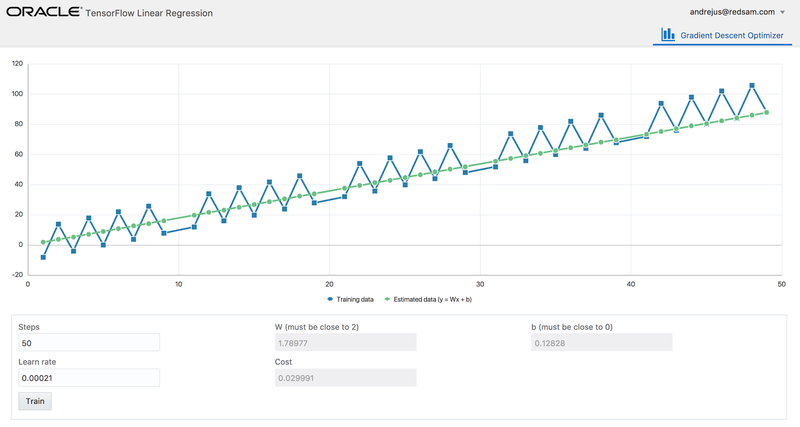 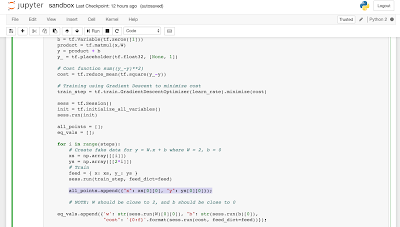 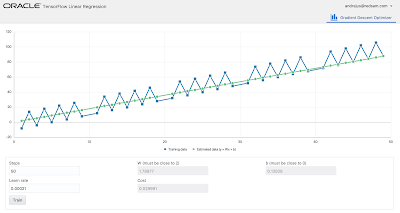 I have implemented linear regression model using Python and now would like to give access to this model from the outside. 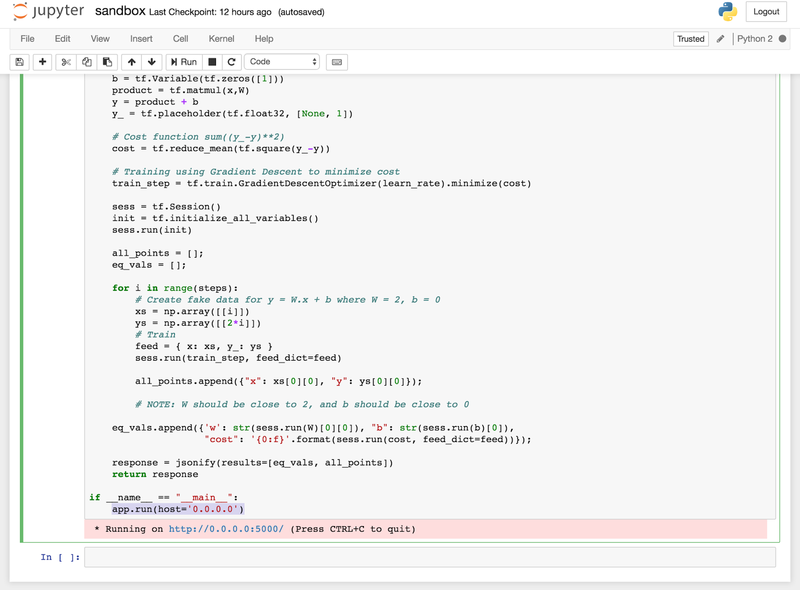 For this reason I'm going to use Flask, micro-framework for Python to allow simple REST annotations directly in Python code. 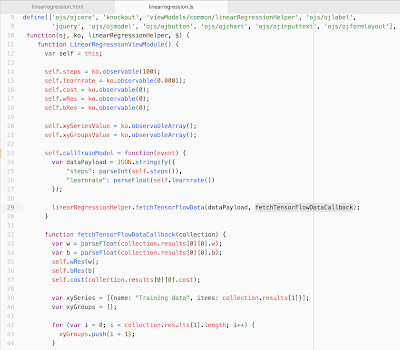 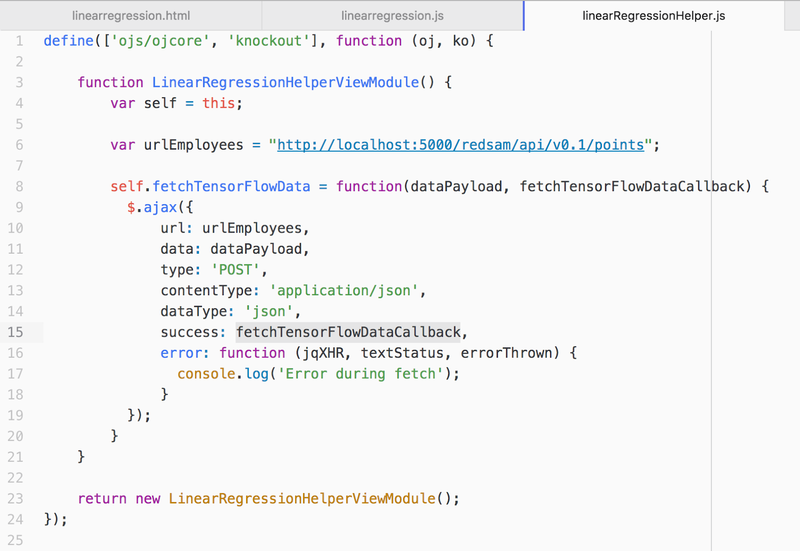 I'm going to call REST from JS, this means TensorFlow should support CORS, otherwise request will be blocked. 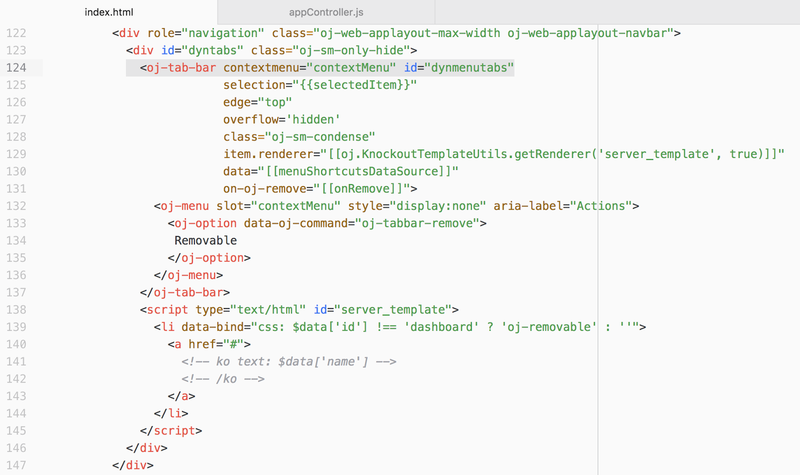 No worries, we can import Flask CORS support. 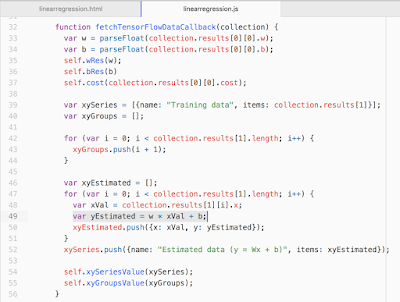 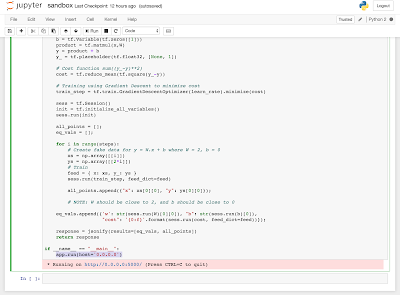 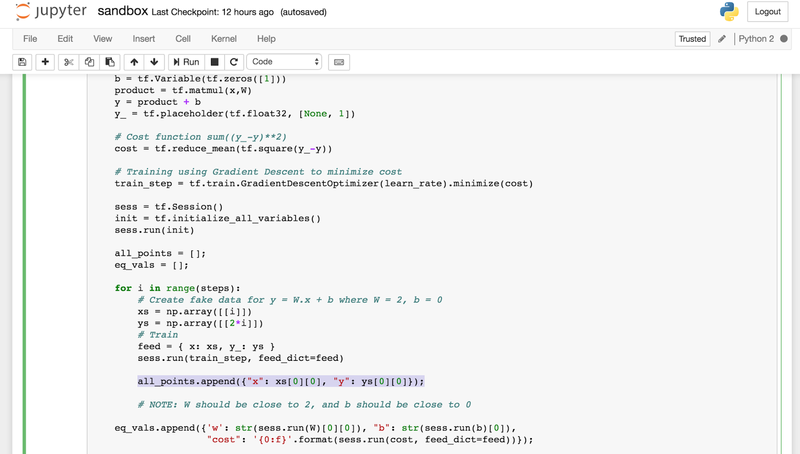 Download TensorFlow model enabled with REST from my GitHub. 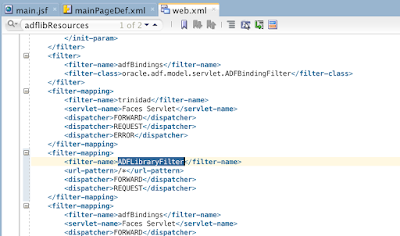 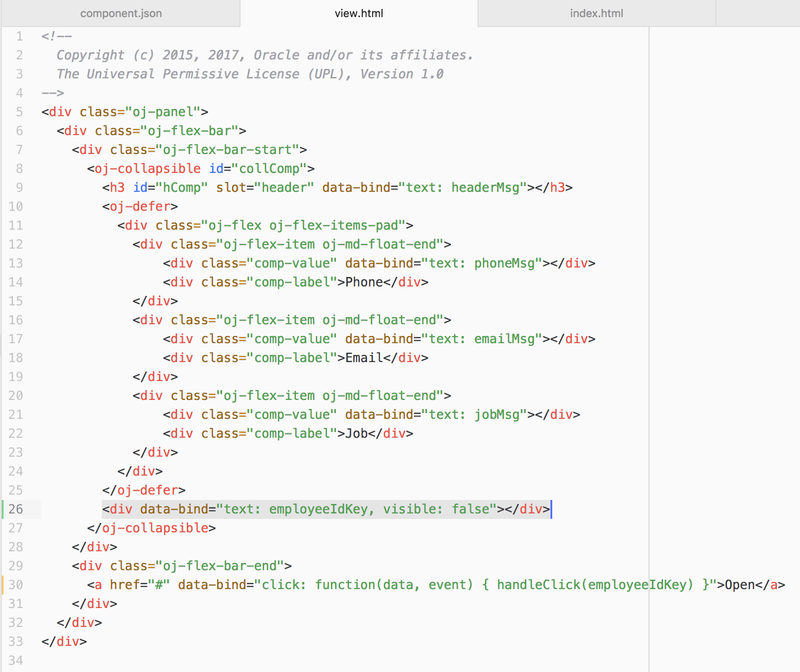 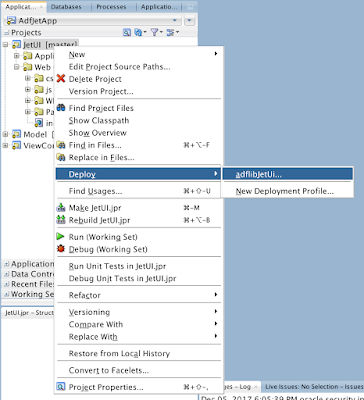 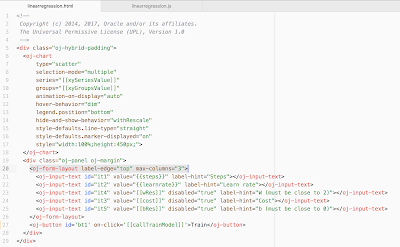 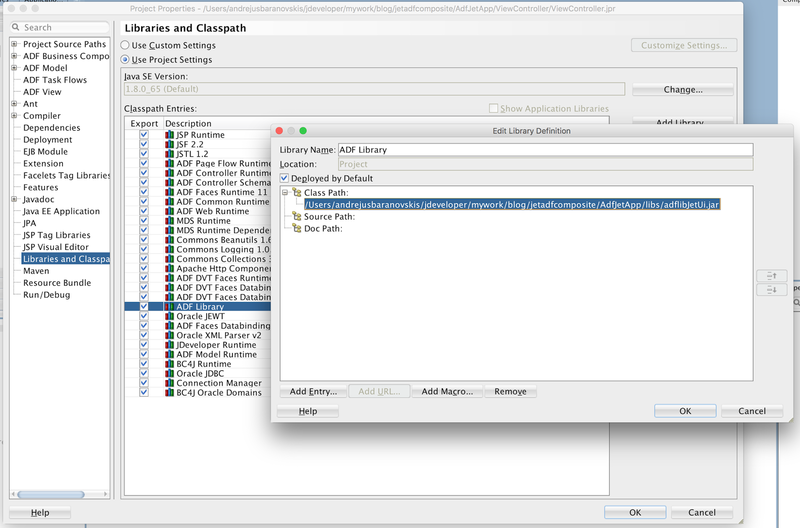 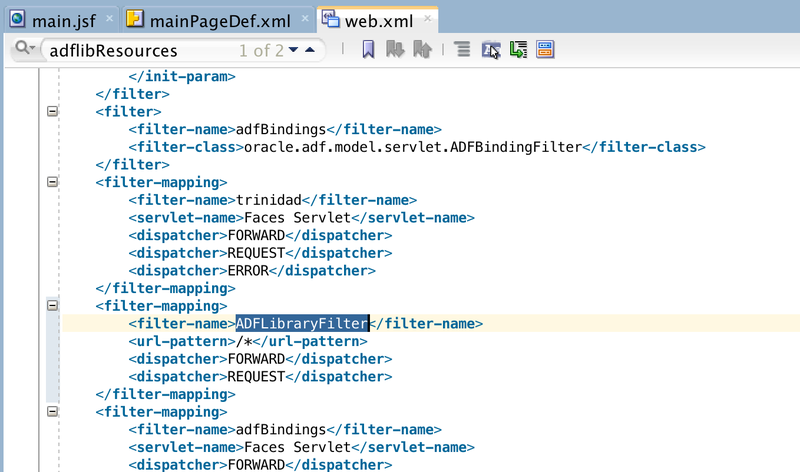 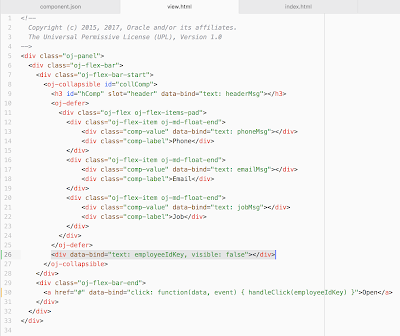 Oracle JET team doesn't recommend or support integrating JET into ADF Faces. 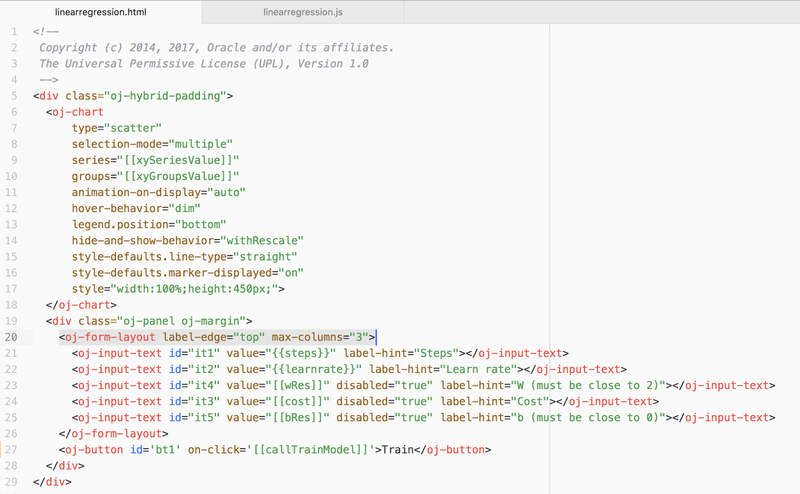 This post is based on my own research and doesn't reflect best practices recommended by Oracle. 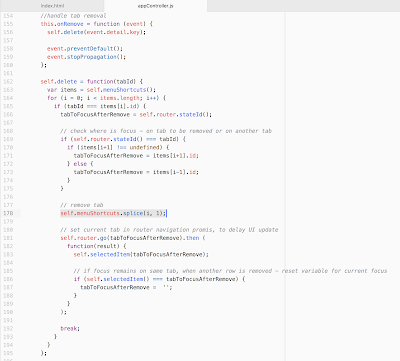 If you want to try the same - do it on your own risk. 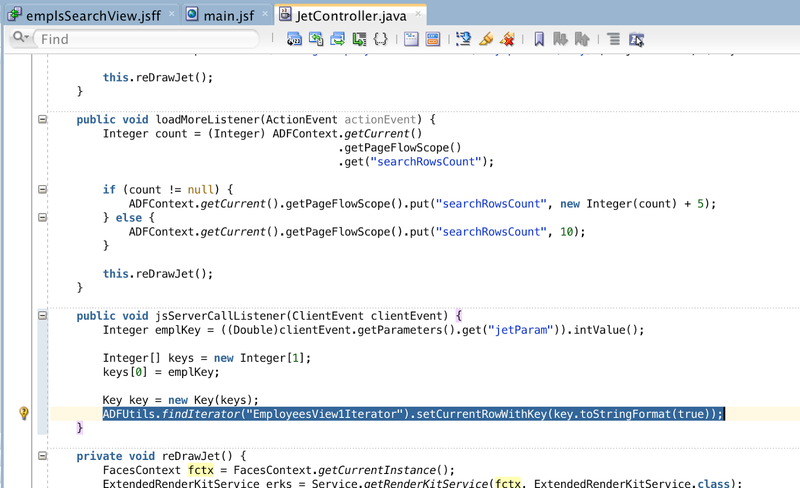 All this said, I still think finding ways of further JET integration into ADF Faces is important. 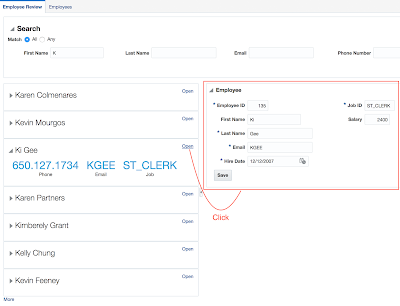 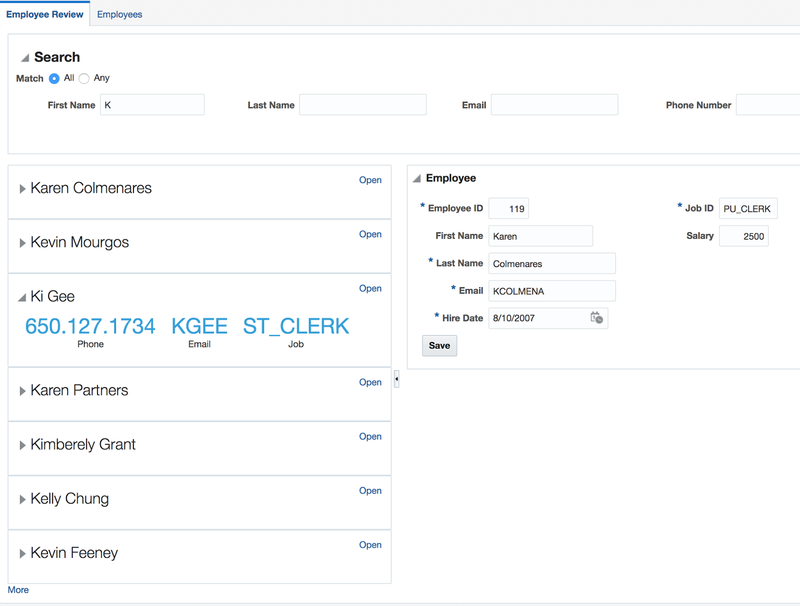 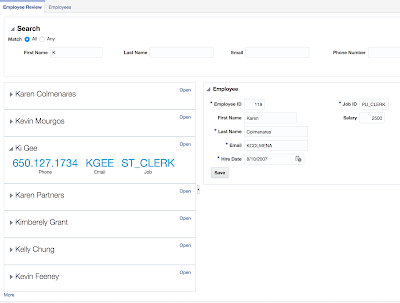 Next step would be to implement editable grid JET based component and integrate it into ADF to improve fast user data entry experience. 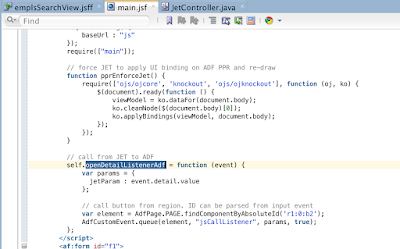 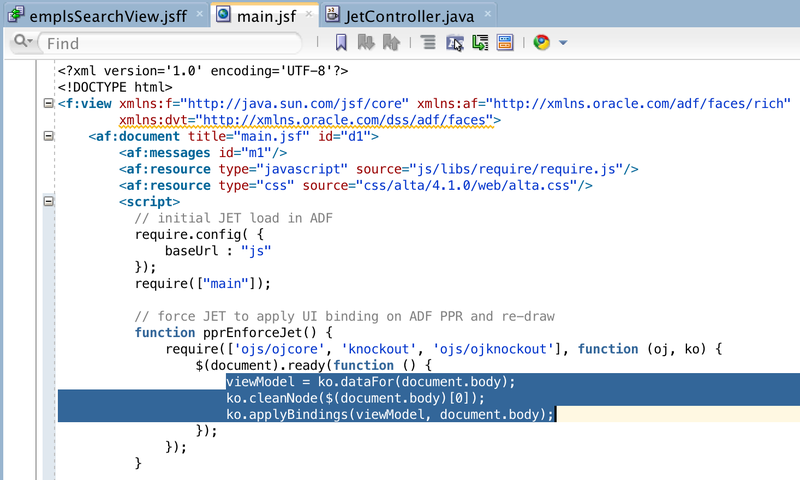 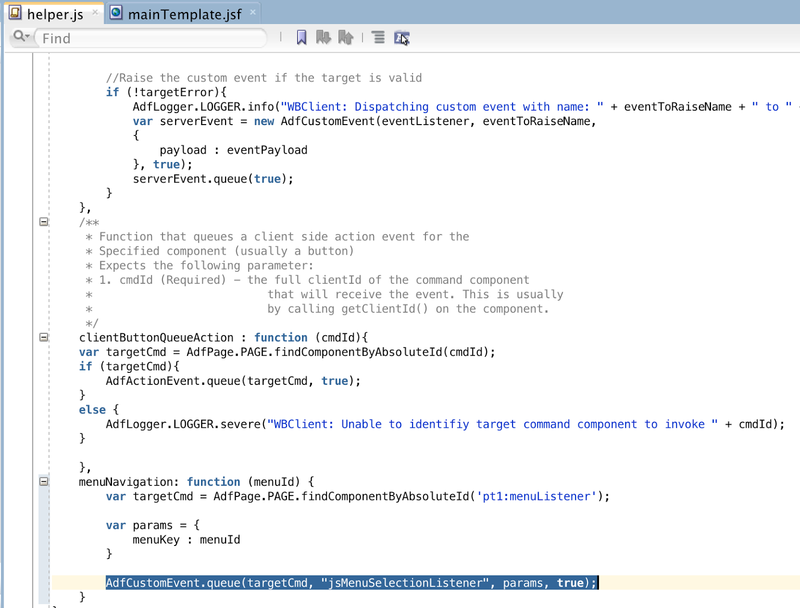 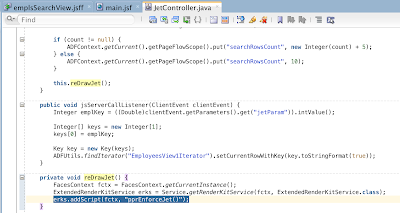 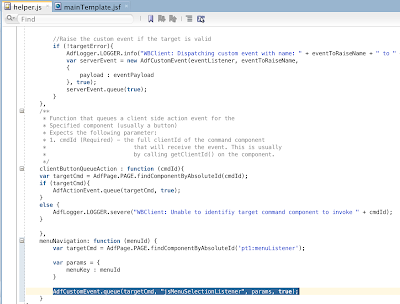 You can access source code for ADF and JET Composite Component application in my GitHub repository - jetadfcomposite. 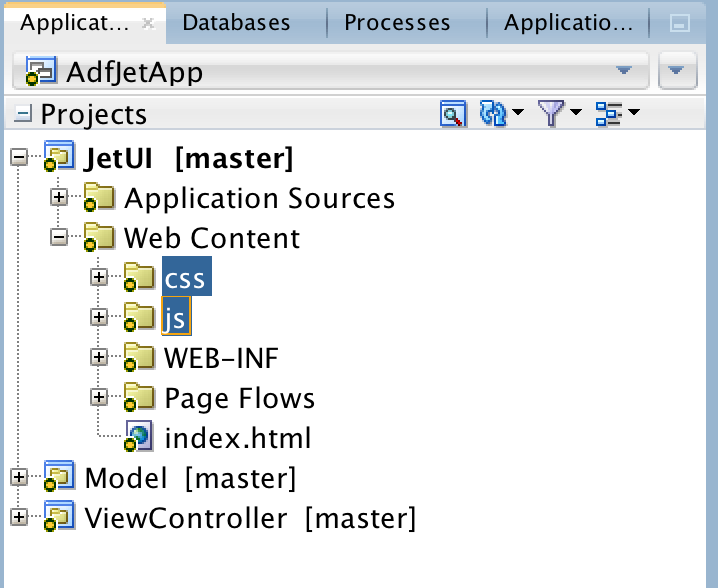 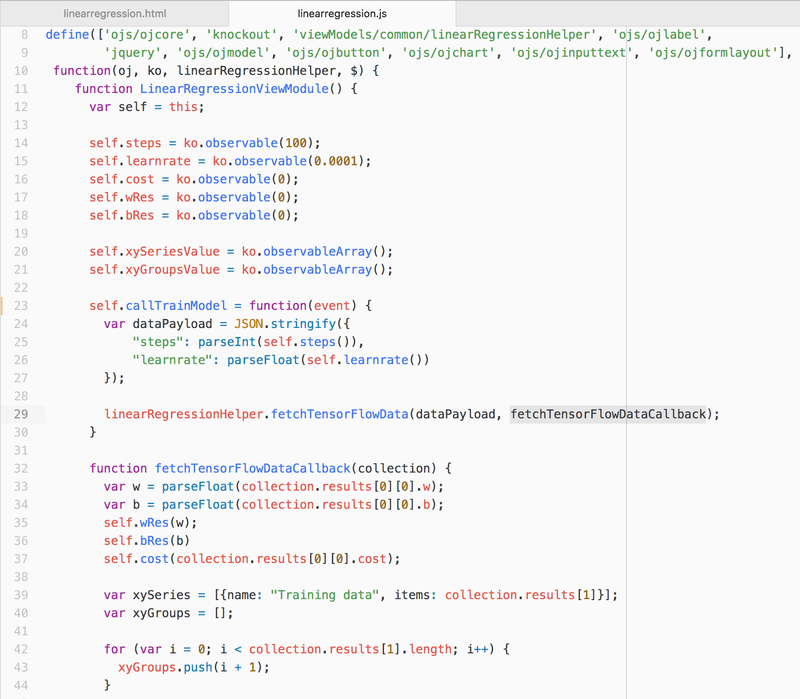 Very important to mention - JET Composite is getting data directly from ADF Bindings, there is no REST layer here. 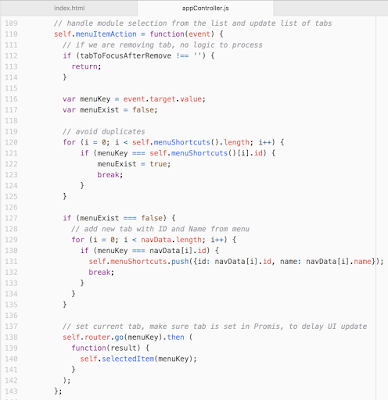 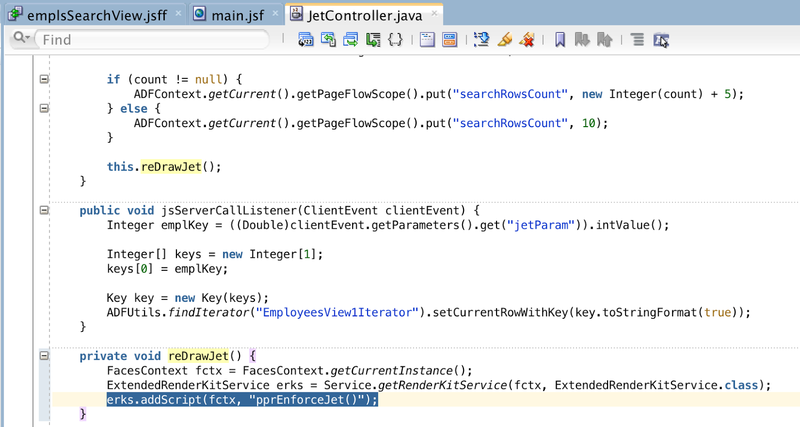 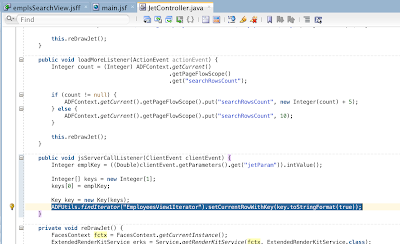 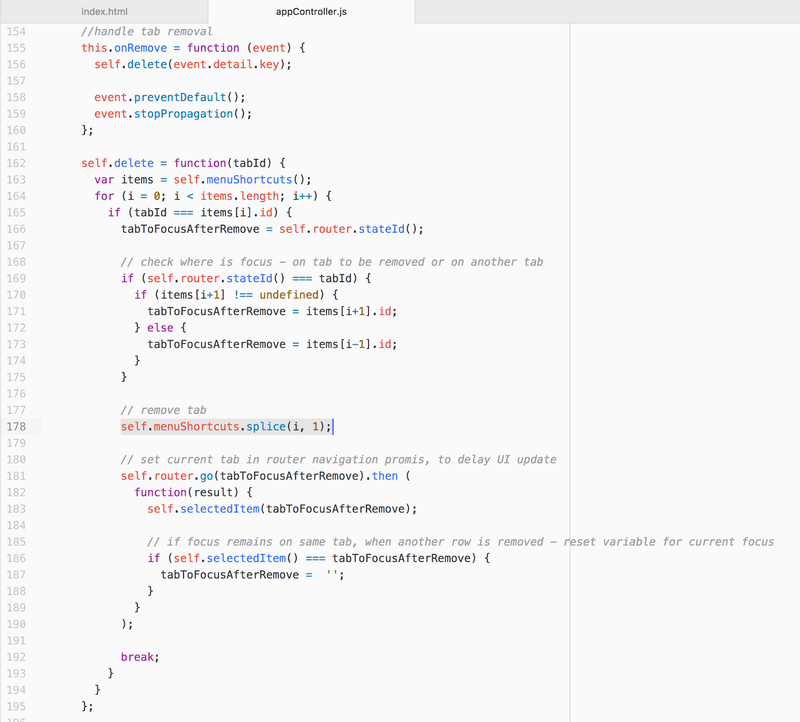 This simplifies JET implementation in ADF Faces significantly.